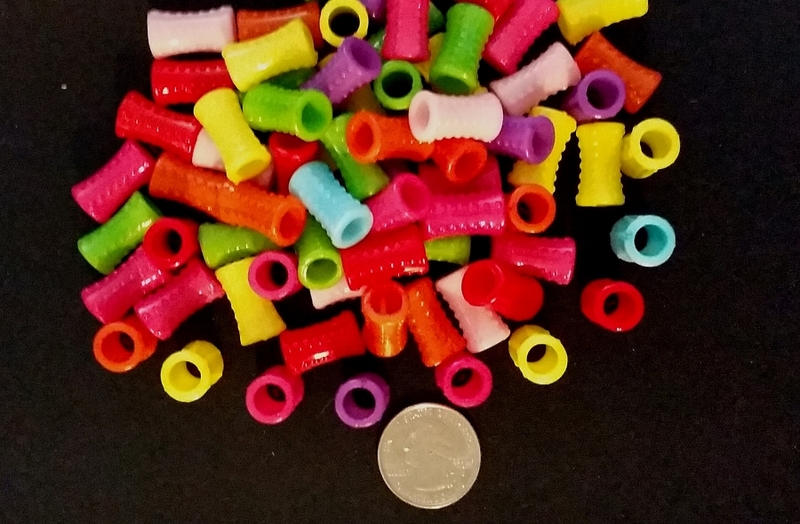 Plastic Bead Rings measure just shy of 1" in diameter are 1/4" thick and have a 5/16" opening. 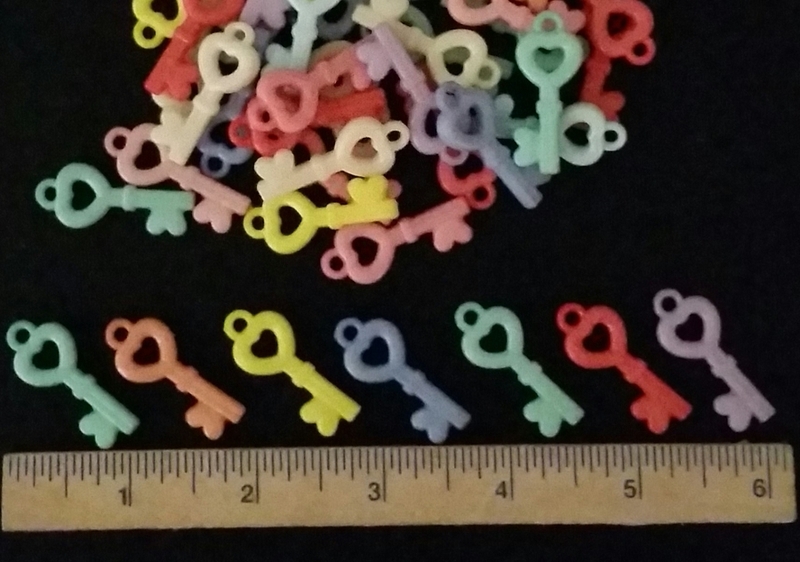 They also have a small hole on two sides that measure 1/16"+. 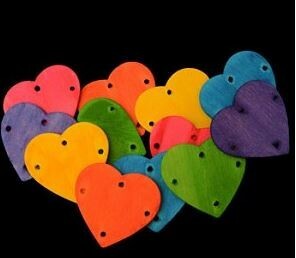 They are available in Pink, Hot Pink, Red, Orange, Yellow, Lime Green, Sky Blue and Purple.